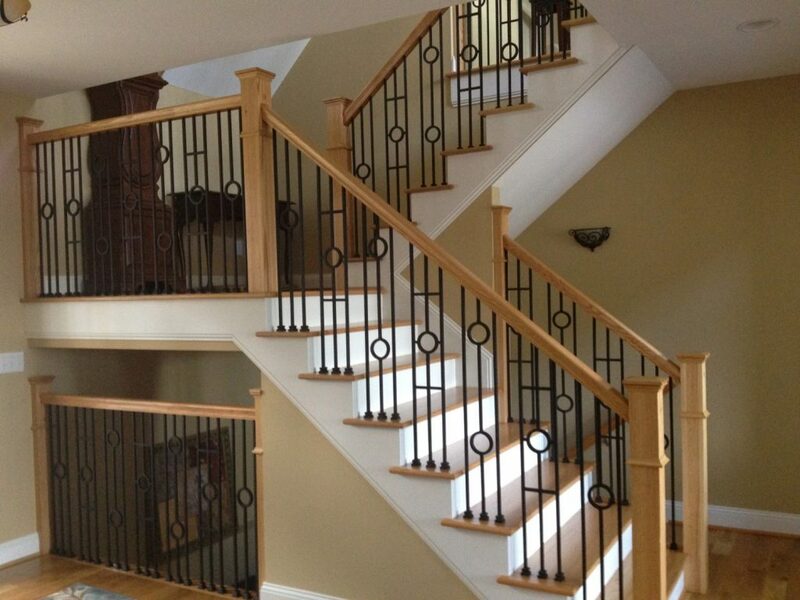 StairSupplies™ offers a great selection of wrought iron balusters. 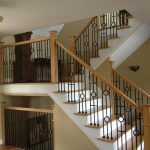 Among our 9 different series are dozens of styles that will enhance your staircase and give it your own creative touch. 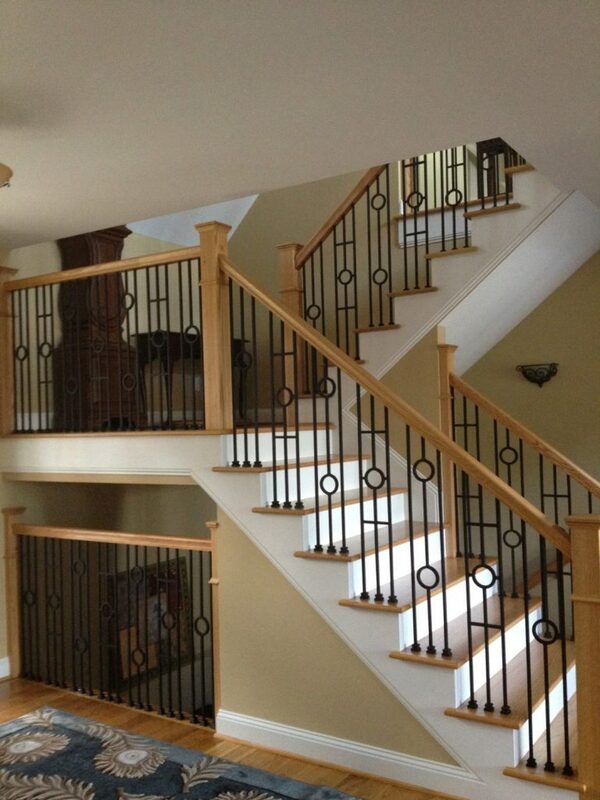 Some wrought iron balusters have exquisite designs that take up more space than more standard balusters. 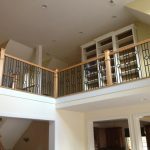 This is true of the triple bar iron baluster, which features three straight verticle bars joined by two horizontal bars. At its center is a single circle that serves as the piece’s elegant focal point. 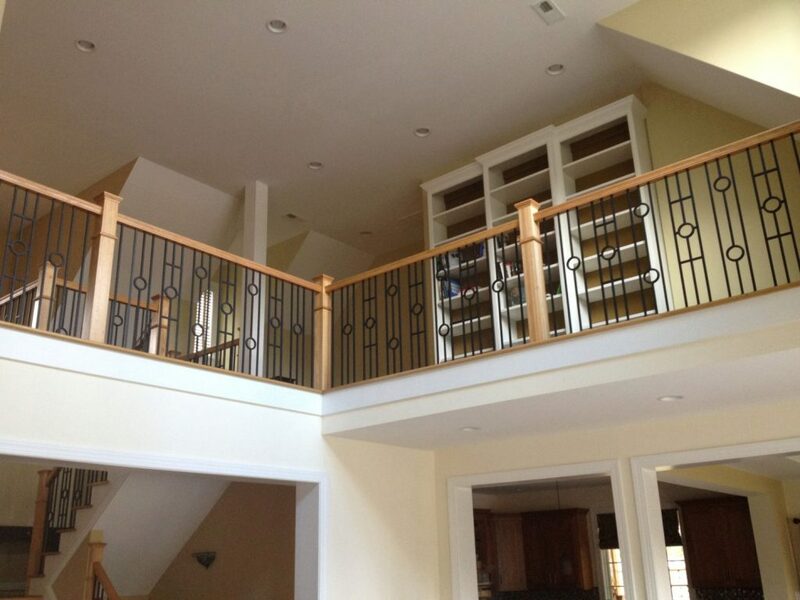 This customer finished their design by adding flat aluminum shoes to their balusters, giving them a sharp, clean finish.